This week we are taking a look at Sour Power OG. Bred by Karma Genetics and grown by Chemdank, this strain is a cross of Biker Kush (Karma) X Sour Power (Hortilabs). 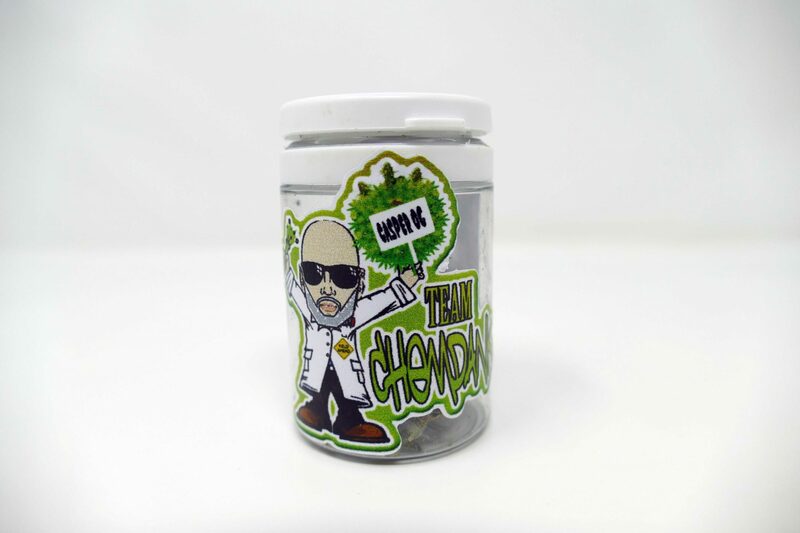 Despite its release back in 2015, this strain hasn’t been covered much, and we couldn’t find other reviews online. 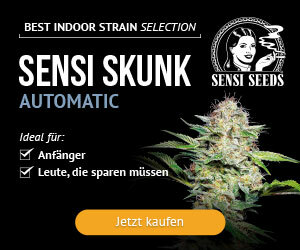 So hopefully we can shed some light for you on the Sour Power OG cannabis strain here on the ISMOKE website. She’s certainly a looker – this Sour Power OG sample has been grown really well. 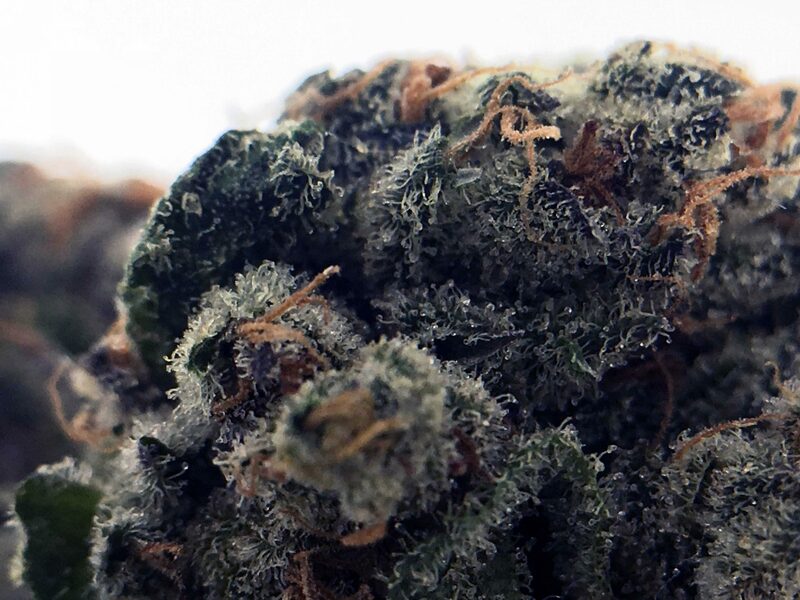 The bud is nice and dense, covered in trichomes and has a lovely complex colour that ranges from darker green to vibrant orange, including the pistils. 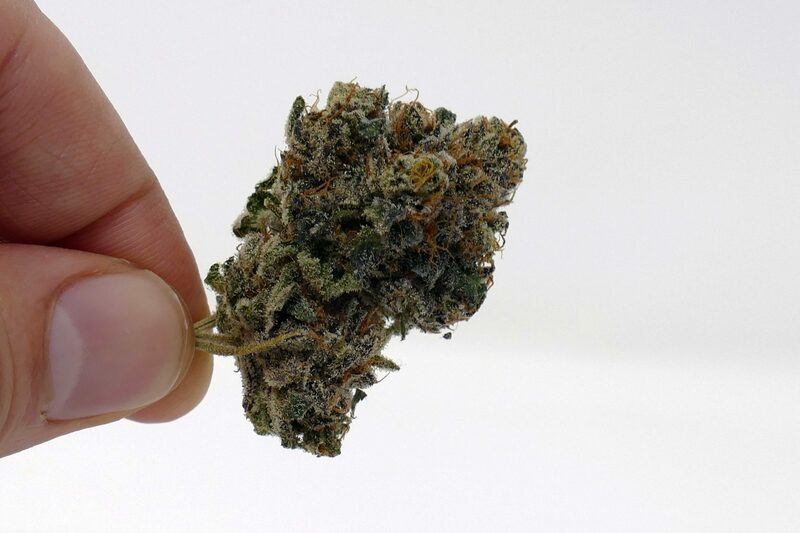 The darker spots of the leaves also have a slight purple-ish hue in places, making this bud look darn-right delicious! Not a big smeller initially, this one took breaking open to really come into its own. The scent released from Sour Power OG captures a delicious and dank pungency, reminding me a bit of East Coast Sour Diesel (more than, say, OG Kush). Ever so slight hints of lemon also came out of this bud. Grinding this up revealed more of the same; the Sour Power OG has a lovely and complex scent to match its appearance. 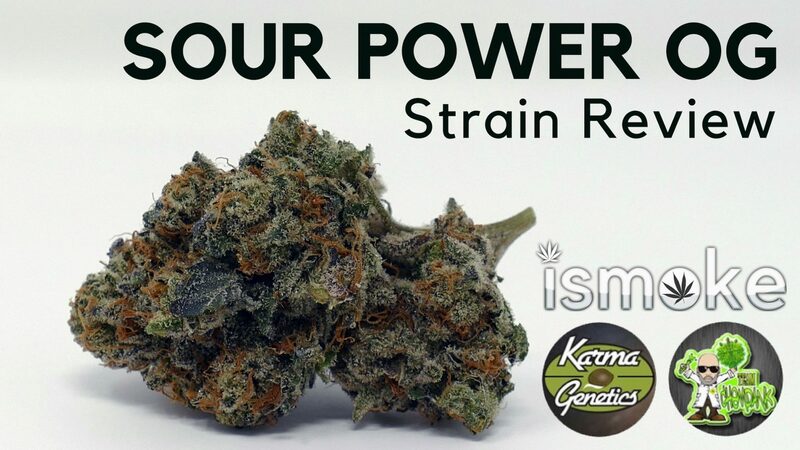 On the Karma Genetics website, it states that “Sour Power OG has a mouth-coating flavours ranging from Sours to Lemons to Gas/Fuel” and some of this is certainly coming through in the smell of this sample. The flavour of Sour Power OG is enjoyable through both the bong and the vaporiser, the two methods I tried out with this strain. The Chongz Widow Maker gave a good indication of the flavour to start, but vaping this gave me notes of gassy delicious flavour that was surprisingly less like the OG Kush than I was expecting and more of a flavour in its own right. I got a similar taste to the scent when consuming the Sour Power OG, the mark of well-cured cannabis. The dank pungency comes through, with the gas/fuel and sour flavours being apparent more than the slight lemon notes which apparently can manifest themselves in this strain. 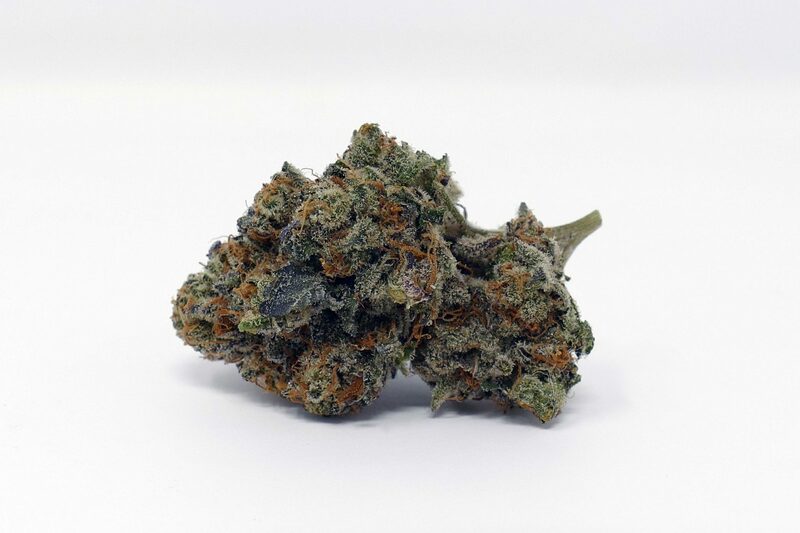 As a hybrid strain Sour Power OG delivers an enjoyable high that I could happily experience at any time of the day – smoking and vaping this allowed me to remain productive, while lifting me in a way which I found enjoyable and a bit moreish. I could certainly get used to this one! Both a cerebral uplift and an enjoyable body-focused relaxation are present in the high. While this one didn’t hit me particularly hard, the high I got from Sour Power OG felt happy, calm and productive. I’ve enjoyed covering Sour Power OG this week – Karma Genetics did a great job with this strain, and Chemdank and the Dead Fox Collective guys did a great job with the grow. This is certainly top-quality, as far as UK cannabis goes, and I look forward to covering more of their strains in the future. 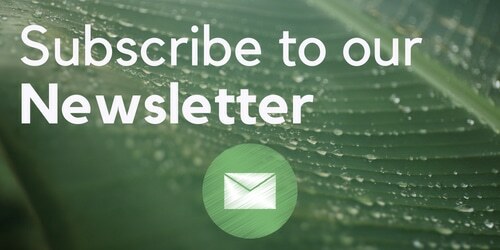 Previous articleForget growing your own girlfriend, now you can grow your own weed!